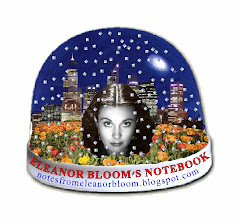 notes from eleanor bloom: Come Visit Australia! A wildlife scientist has announced that a rare species of shrimp has been killed off, most likely due to people peeing and pooing on top of Uluru. "It's happened already that the people going up the rock somehow have affected the animals which live in the pools, possibly by peeing on the rock and pooing on the rock," he said. He says the Branchinella Latzi shrimp species, which once inhabited rock pools on Uluru, has not been found in collections since about the 1970s. "Certainly if they [tourists] go up, they should be behaving themselves, not pooing on the rock." Remember those Paul Hogan ads for Aussie tourism, 'Throw another shrimp on the barbie' and all that? Probably not quite as appealing an approach now.